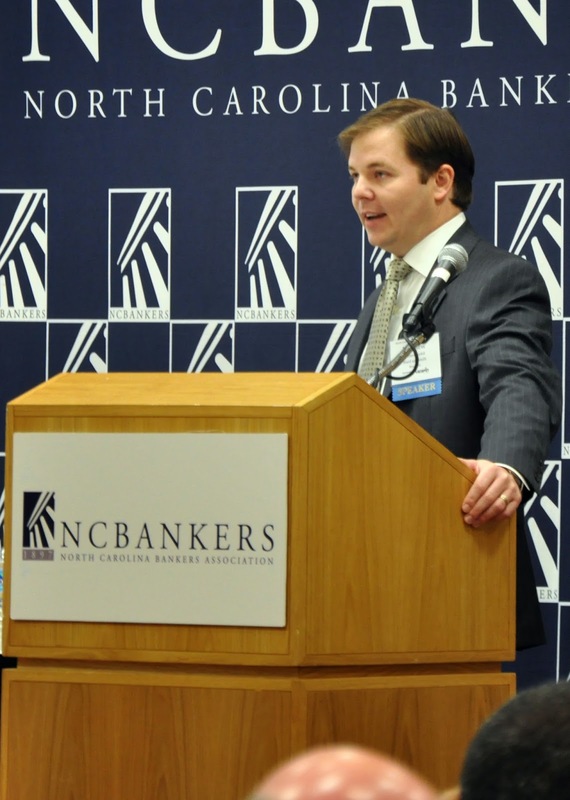 The Carolina Business Law Blogby Matt Cordell: Security breaches, unauthorized transfers, and corporate account takeovers, oh my! Security breaches, unauthorized transfers, and corporate account takeovers, oh my! 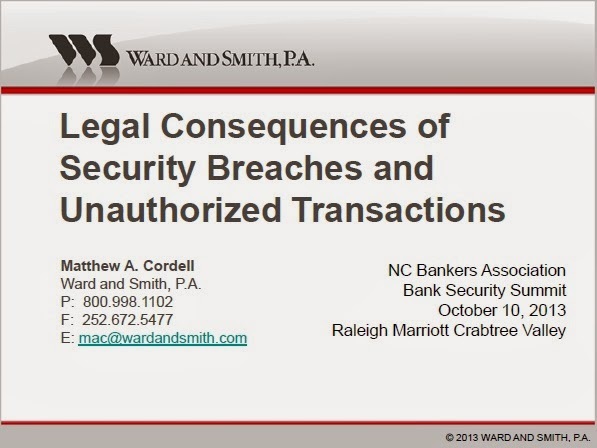 What are a financial institution's obligations under federal and North Carolina law when there has been a security breach involving customer information? When does an incident involving customer information become a "security breach" for which the law requires specific responses? Who must bear the loss when there is an unauthorized transfer of funds in a consumer's account? If a company's bank account is compromised (e.g., by a hacker) in a "corporate account takeover" and funds are transferred from the account without authorization, is the bank required to refund the company's money? Some of the hottest topics in financial services law these days involve security breaches, unauthorized transactions, and corporate account takeovers. 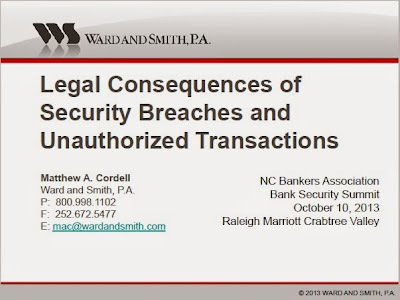 I addressed the legal aspects of each of these today in a presentation at the North Carolina Bankers Association's Security Summit. The Security Summit attracts a great group of committed banking professionals, and I received numerous questions and comments on the topics covered in my presentation. 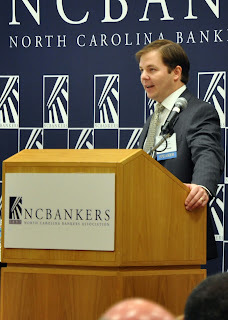 It was a genuine pleasure to participate in this well-planned, well-executed conference along with other interesting, knowledgeable speakers and competent, diligent bankers. I am posting the slides from my presentation here so those who were not able to attend the Security Summit will be able to see the highlights of the talk. * I hope both bankers and commercial bank customers will find this information helpful and will be prompted to take steps to protect themselves from avoidable losses.